What Is The Least Expensive Way To Divorce In Tampa Bay? You have probably heard of divorce horror stories where couples have suffered for years entrenched in court battles and spent hundreds of thousands of dollars or more. Fortunately, this is more the exception than the rule, but still, divorce usually is not cheap. It is a process, and there are raw emotions involved, but there are methods that can cost more or less. So what is the least expensive way to divorce? If you and your soon-to-be ex-spouse are on excellent terms, feel confident and competent in writing up your own marital settlement agreement, and feel comfortable in dealing with the court system on your own, then a divorce can cost as little as $408, which is the cost of filing a petition for dissolution of marriage. This may be an ideal option for those with a very short-term marriage (one year or less), no children, no joint assets, and a lot of trust in your spouse and contract-drafting abilities. You can get forms for a do-it-yourself divorce at your local clerk’s office or website. If you or your spouse have written up your settlement agreement, petition, and other documents, but you want an attorney to review the settlement agreement and other documents prior to executing it, you can hire an attorney on a limited basis for that purpose. If you want, you can also hire the attorney to shepherd the case through the court system and accompany you to the final hearing. This option, depending on the level and detail of the service you need, could cost you between $600 to $2,100 (at our normal hourly rate of $300) or more, plus the filing fee. This may be ideal for couples who are able to write up the settlement agreement on their own, but want a trained professional to review and explain legal terms as well as option, and/or need help navigating through the bureaucracy of the court system. Keep in mind that a settlement-reviewing attorney can only represent one spouse, so the other spouse may want his or her own settlement-reviewing attorney. Another option for those who need help reaching an agreement with their spouse, but do not want to involve lawyers, is pro se mediation, which means mediation without lawyers. 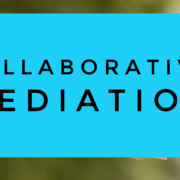 In pro se mediation, you and your spouse meet together with a neutral third party who helps you reach an agreement with your spouse on all issues related to your divorce, including parenting issues, the division of assets and debts, child and family support, and everything else. Family Diplomacy’s Adam B. Cordover is a Florida Supreme Court Certified Family Mediator who can mediate a divorce agreement. We charge $250 for the first 2 hours and $250 hours thereafter, and we try to limit each mediation session to two hours. In addition, we offer our mediation clients a service of drafting the marital settlement agreement for a flat fee, and drafting all other required documents (excluding financial affidavits) for an additional flat fee. Pro se mediations through Family Diplomacy would typically average a total of less than $2,500, broken down as follows: $250 for the first 2-hour session (which would deal with issues related to parenting); $500 for the second 2-hour session (which would deal with division of property and debts and support); $500 for drafting the marital settlement agreement; $500 for drafting the remaining required documents (excluding the financial affidavits); $250 for a third session, which would last about an hour, to finalize all documents; and $408 for the court filing fee. When acting as a neutral mediator, please keep in mind that Adam B. Cordover cannot provide legal advice, so you still may want (and always have the option) to hire a settlement-reviewing attorney. The options above assume that neither spouse needs advice while negotiating a divorce agreement. And while there may be short term savings, getting divorced without thorough representation can have long-term costs and unintended consequences. However, most spouses are in the midst of a trauma and do not want to make long-lasting decisions without proper counsel. Further, spouses may need help reopening lines of communication so that they can effectively co-parent even when the divorce is over, or require assistance identifying all assets and debt and budgeting for once the divorce is finalized. For these spouses, another less expensive option is collaborative divorce, where both spouses have their own attorneys, and the attorneys are used solely for the purpose of helping the spouses reach an out-of-court agreement. From the beginning, the spouses sign a contract that says no time, energy, money, or resources will be spent by their attorneys on fighting in court or preparing for trial. Depending on the needs of the spouses, facilitators or financial professionals may be brought in so that they may efficiently deal with non-legal issues (at non-legal rates). There may be many different reasons why couples choose the collaborative divorce method, and there are many different levels of support that can be offered. Accordingly, it is much more difficult to provide an estimate of the costs of collaborative divorce, but you are welcome to contact Family Diplomacy to schedule a consultation and learn more. The most expensive type of divorce by far is trial divorce. Typically in trial divorce, each spouse hires a litigator, and the spouses become adversaries who put on evidence to help a judge decide who is the better parent, and who should pay what. Litigation attorneys tend to cast as wide of a net as possible to find information that makes his or her client look good and the other client look bad. Accordingly, tens or hundreds of thousands of dollars are oftentimes spent on depositions, requests for production of documents and things, interrogatories, requests for admission, and on a myriad of case management conferences, temporary hearings, evidentiary hearings, and, finally, trial. Trial divorce should be reserved for those cases where there is active domestic violence, severe drug or alcohol abuse, severe mental health disorders, and other extreme cases. If you want to learn more about your options about divorce in Tampa Bay or beyond, schedule a consultation with Adam B. Cordover at (813) 443-0615 or CLICK HERE to fill out our contact form. Adam B. Cordover is an internationally-known collaborative professional, mediator, and trainer in out-of-court dispute resolution. 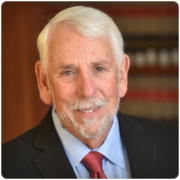 He is co-author with Forrest (Woody) Mosten of an upcoming American Bar Association book on Building a Collaborative Law Practice. https://familydiplomacy.com/wp-content/uploads/2016/12/Family-Diplomacy-Logo.jpg 0 0 Adam https://familydiplomacy.com/wp-content/uploads/2016/12/Family-Diplomacy-Logo.jpg Adam2016-07-25 08:12:202017-07-12 21:57:01What Is The Least Expensive Way To Divorce In Tampa Bay?